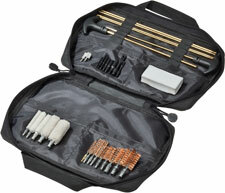 These kits contain an array of various items to clean your shotguns, rifles, and handguns. Carrying cases feature compartment pockets to help you keep everything neat and organized. 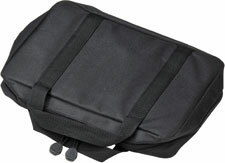 Plus, wrap-around, dual zippers allow for convenient access, and a durable handle for easy transport.